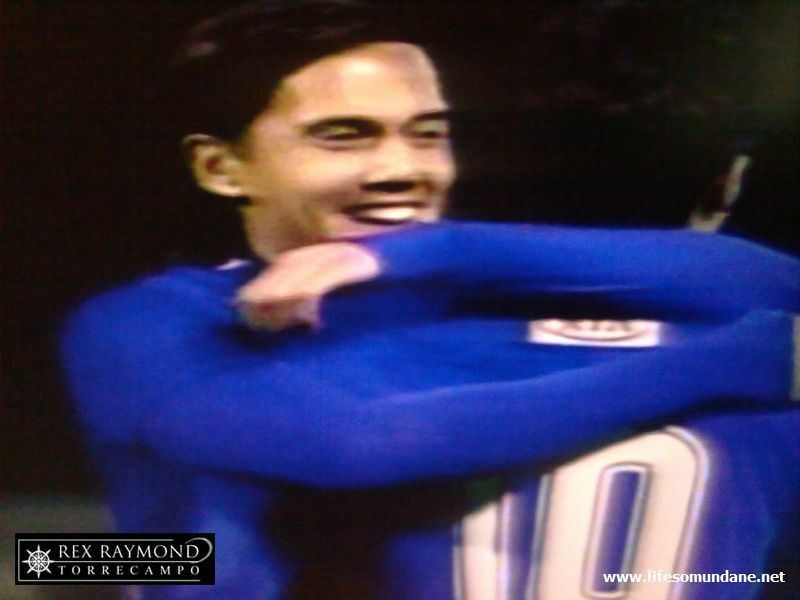 One simply cannot understate what the Filipino Diaspora has done for Philippine football. That all of us who follow the beautiful game in this country have it to thank was once again evident in Doha the other night, where the national team put on an adrenalin-inducing show of rapier-like counterattacking football to convincingly defeat local club Al Ahli in a friendly match played at the Al Ahli Sports Club Stadium. 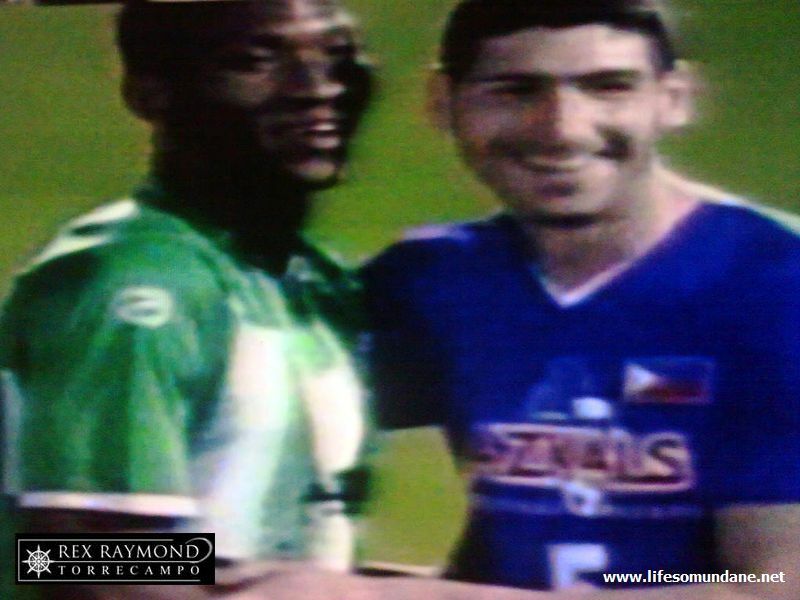 First of all, eight of the starting eleven were half-Filipinos who were born, grew up and learned their football in Europe. One was born in Cebu to an Icelandic father and Filipino mother but migrated to Europe at a young age. Two were born to Filipino parents; but one was born in the United States and the other one in Venice, Italy. Then there was the crowd. As in Dubai a few days earlier when the Philippines played against – and lost to – the Uzbeks, the crowd did not roar. It shrieked. If there is any foolproof indication that the Philippine team is playing, it is the high-pitched eardrum-shattering shrieks of Filipinas happily destroying their tonsils at the sight of the Men in Blue whether or not they understand what is going on in the field. 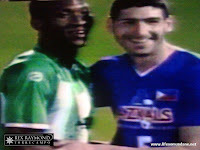 This is not to say that there were only Filipinas at the Al Ahli Sports Stadium. 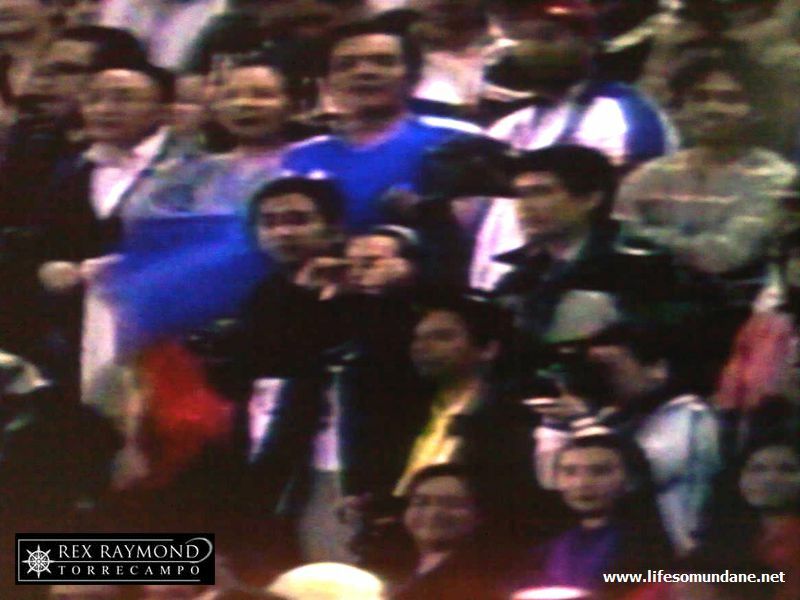 In fact, there was an estimated 8,000-strong crowd of both Filipinos and Filipinas cheering on the Philippines and rendering the match – for all intents and purposes – a home-away-from-home game. 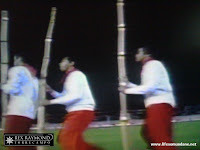 There was even a traditional Filipino dance number performed at halftime by expatriate Filipinos as though to insinuate that the Philippines had taken over Qatar for a couple of hours. It was always about the football, of course. 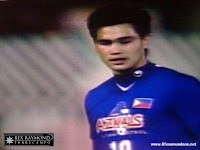 The Philippine team received some flak after the 0-3 defeat to the Under-23 team of Uzbekistan a few days before. The Philippines did not play badly; but it was naïve and tried to match the Uzbeks’ up-tempo pressing game. 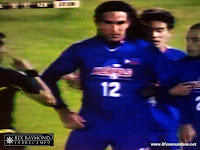 Michael Weiss sent his team out to play in a pragmatic counterattacking game in the second half against the Uzbeks. One question begging to be answered is ‘Why?’ Not why did we play counterattacking football in the second half but why did we play counterattacking football when we were already 0-2 down. I know that there are those who prefer to see our team play with more panache; but flair is only a means to an end. For a relative upstart of a football nation as I would like to think that we still are, it simply makes no sense for our team to attempt to play expansively only to leak goals at the back. Results and building a reputation have to come first; and then let us talk about panache. Take the Uzbek game. The spaces in midfield were so wide and open that farmers could have come in to plant crops without disturbing the match. The first Uzbek goal was Sunday football park defending; a clear run at goal after a high offside trap was beaten. The second was not any better. So, on to the Al Ahli game and Weiss getting his tactics right. At the end of the day, it is not about whether the football of Weiss is better than that of his predecessor, Simon McMenemy. It has always been about which style of football is right for the players that we have. I will not say that we sat back against Al Ahli. Instead, I will say that we kept our shape throughout the match. There is siege logic in getting everybody behind the ball when playing against a technically superior side, which Al Ahli was and make no mistake about it. Even top European teams close shop when playing away from home. That said, we also pushed forward as a unit whenever we gained possession; and when we were counterattacking, the football was swift, precise, breathtaking and – most importantly – lethal. Who says we have to be camped in our opponents’ half to play good football? Granted, Al Ahli was in friendly – nay, self-destruct – mode at the back. Granted, too, that the incident that led to the first goal was a fluke. 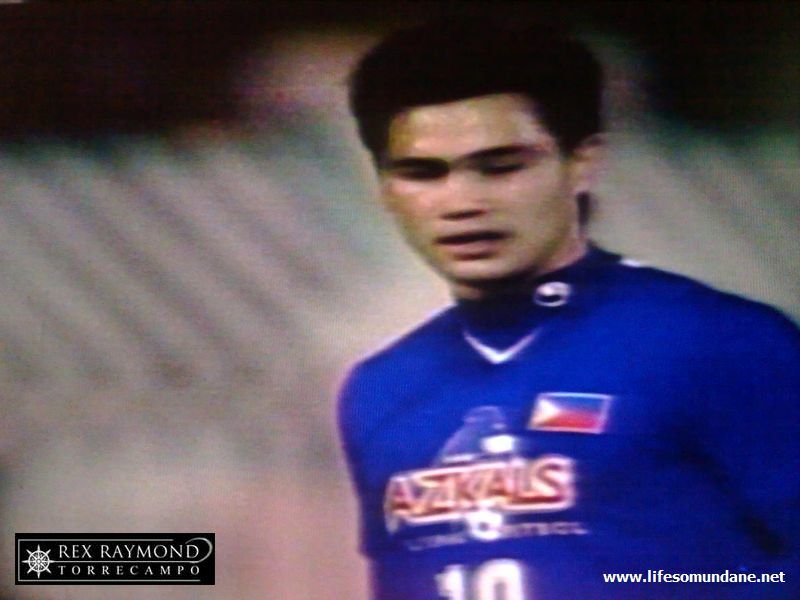 But while Phil Younghusband had a brace of goals in the 9th and 51st minutes, with better technique and more composure he could easily have had at least a couple more. Then there was the penalty miss by Angel ‘control-run-run-run-fall-over’ Guirado, who had already missed a penalty in the fundraising friendly against Incheon FC last month. Why Marwin Angeles, who despatched his in the same friendly with aplomb, did not take the spot kick we will just call a deed of charity to humour the hosts. 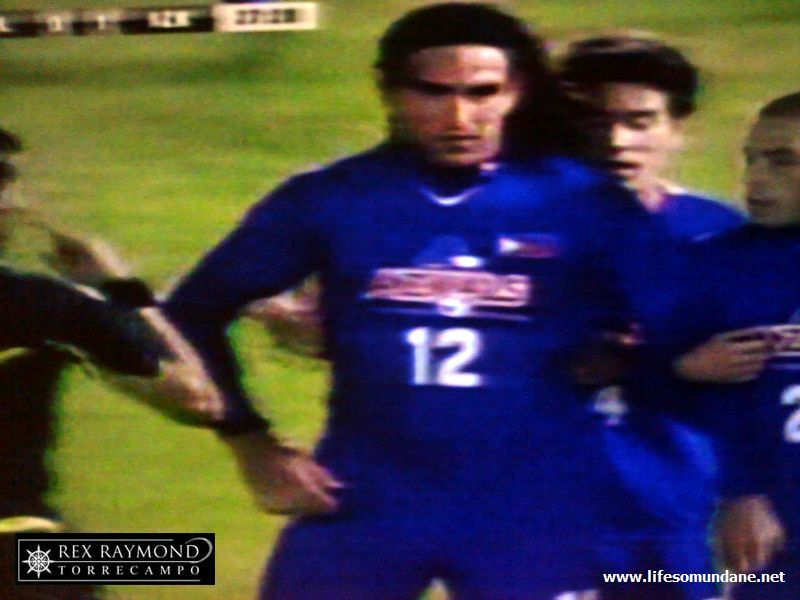 A late consolation goal by Serginho notwithstanding, it was a convincing and comfortable win for the Philippines. The tactics were right; we played to our strengths; and got the result that we needed to boost confidence heading into the AFC Challenge Cup. What I found most edifying about the match was seeing that our team – after all – has not forgotten how to defend properly. It was good to see a tall authoritative central defender in the newly-acquired Juan Luis Guirado, brother to Angel. It was equally good to see Jason Sabio composed and no longer the calamity waiting to happen. The Fil-American has had a decent run at central defence in recent matches and has clearly benefited from it. Roland Müller in the Philippine goal was so often unprotected during the Southeast Asian Games last year that I feared for his self-confidence. It was good to see that, having in front of him more natural and better defenders, his handling and self-assurance were back to the same excellent levels that they were in when he kept goal for the team during the Long Teng Cup. We play Australia’s U-23 team tomorrow in the last match of the 10-day Middle East training camp. Weiss has been playing down the team’s chances in the coming Challenge Cup which is probably correct and just this thing that we call expectation management. However, on the basis of our performance against Al Ahli, I personally prefer to remain optimistic about our chances. First of all, the fact that each of the nations in our group had previously won the Challenge Cup immediately gifts us with the nothing-to-lose-and-everything-to-gain privilege. Second, since all these nations are previous champions, the onus is on each of them to take the game to us. This will mean that we may be pegged back in our own half for long stretches; which should not be considered a disgrace as McMenemy showed in 2010 in the Suzuki Cup.